Generators are great to have at home especially when you experience a power outage. Instead of having to wait for the electricity to be turned back on before you have lights, why not have the generator do it all for you while you wait. There are a number of strong generators that can run power throughout your home on the market and can be found online and at your local hardware store. Here are some of the best generators for power outages. 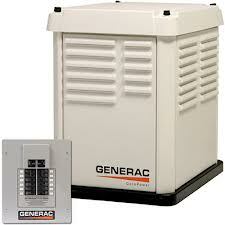 This Generac Core Power Series 5837 Natural Gas Powered Standby Generator is powered by natural and propane gas. It is large and sits outside your home. t has an OHV engine and comes with a prepackaged system of a 50 amp transfer switch, an 8 circuit load center, and a main line circuit breaker. It has its own mounting pad instead of using a concrete base. This generator earned 4.5 stars from Amazon reviewers and costs about $1,900 online. 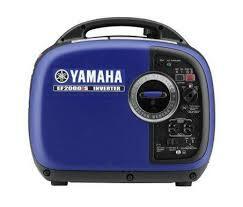 This Yamaha EF 2000is Gas Powered Portable Inverter Generator comes with a 79 cc OHV 4 stroke engine and runs on 2,000 watts surge. It costs about $990 online and received 4.5 stars from 175 Amazon reviewers which makes this one of the best generators for power outages. It can run up to 12 hours before needing fuel and is has a low oil alert system to help prevent engine burn out. It is lightweight at 44 pounds and portable to take without you outside your home to camping or a sporting event. It ha a user friendly design and comes with a two year warranty. 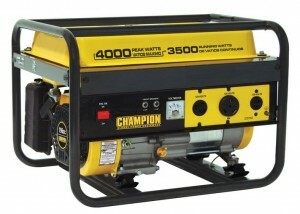 This Champion Power Equipment 46533 Gas Powered Portable Generator is carb compliant and is sold in all 50 states. It comes with a two year limited warranty. It weighs about 110 pounds and can run up to 12 hours on a full tank of 50 percent load. It has a 196cc OHV 4 stroke engine that is protected by a cast iron sleeve for a longer life. It runs on 3,500 watts rated and 4,000 watts surge. One 120 volt outlet, one 120 volt twistlock, and one RV receptacle come with this generator at time of purchase. 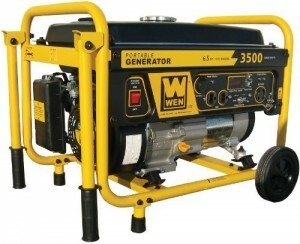 This WEN 56352 Gas Powered Portable Generator comes with a wheel kit for easy portability. You can use at home during power outages and outside events. It comes with a two year limited warranty. There is a digital hour counter and an automatic oil shut down to help protect the engine’s life. It has a four gallon tank and a fuel gauge to be able to monitor gas level. There is a power indicator light and a one inch tubular frame. It can run up to 11 hours on one half load and on 3,500 watts peak and 3,000 continuous. This is considered one of the best generators for power outages as it able to run lights to appliances as well as tools. 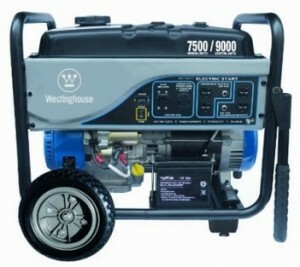 These generators are all highly rated by consumers. Depending on your needs, select the one that best fits you. There are expensive to inexpensive and portable to stationary generators all being able to accomplish giving your home power when you need it most.